The Jean jacket is back!!! 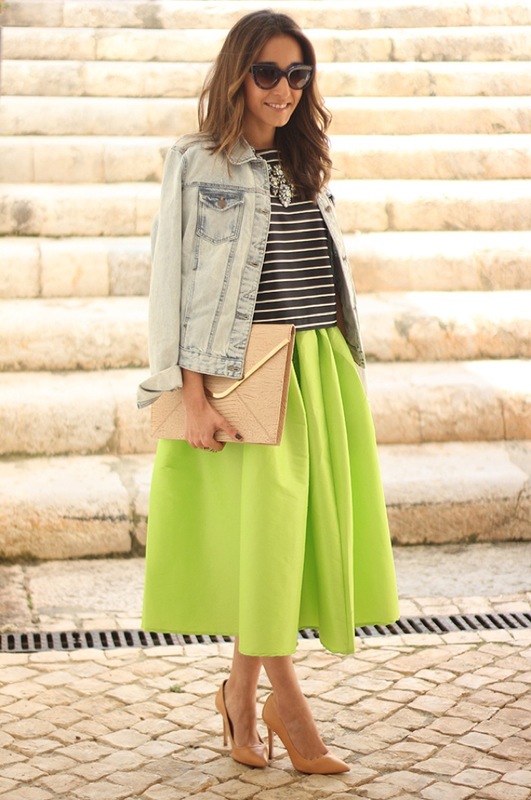 Con looks básicos luce ideal! With basic outfits looks great! Apuesta por looks monocromáticos en colores básicos y dale un toque más deportivo con tu chaqeta jean! Bet for monocromathic looks in basic colors and give them a sporty touch with your jean jacket! Si lo tuyo es lo retro, llévala en tamaño oversize… sin duda le dará a tus look un aire un tanto vintage. 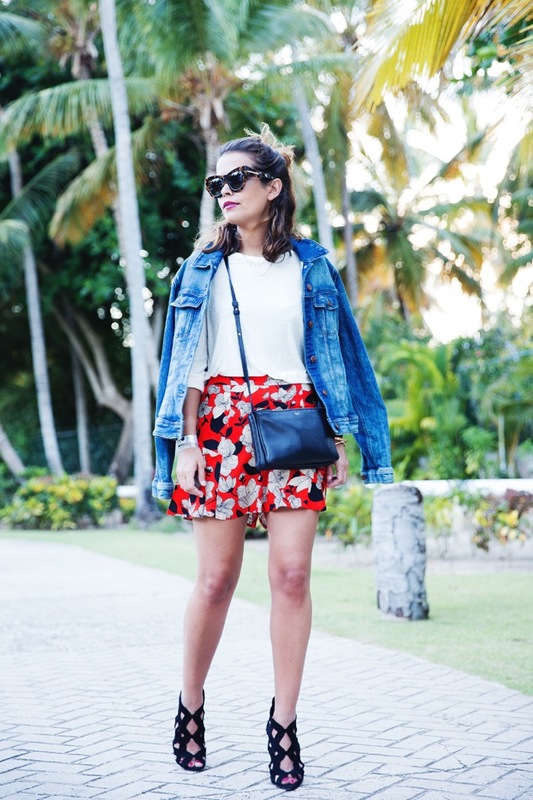 If you like retro style, wear it oversize… it will give to your look a sort of vintage touch. Y ustedes, ya tienen su chaqueta jean? 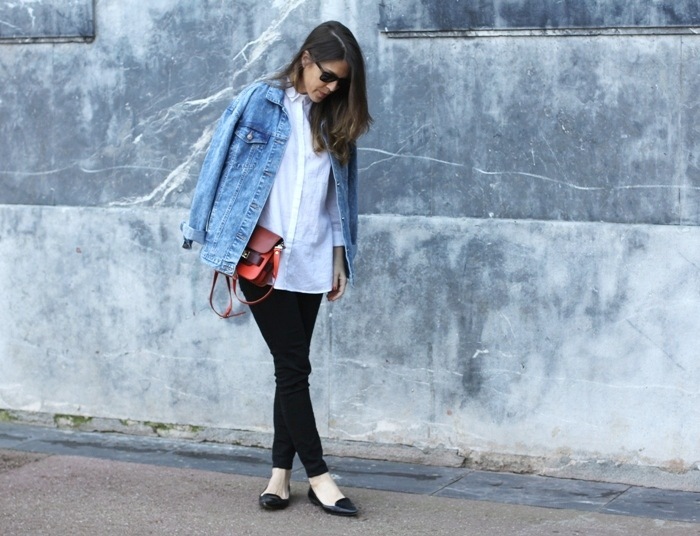 Prefieren la “oversize” o la normal? Con qué estilo la suelen combinar? And you, do you already have your jean jacket? You prefer it oversize or the regular one? How do you like to combine it? Fotos / Images: Stella wants to die, My Showroom, Petra Karlsson, Lady Addict, Laetitia’s comptoir, Brooklyn Blonde, Adenorah, We wore what, Fashion Style blog, Lola Mansil, Be Sugar and Spice, The Fashion Cuisine, Petit and Sweet Couture, A Trendy Life, The Fashion through my eyes, Collage Vintage, Fashion quite, Mi aventura con la moda, Blog da Thassia. You are right one should never throw away any essentials like a jean jacket because it will start trending again before you know it. Es un básico que no puede faltar en nuestro armario. Me encanta. Un beso!